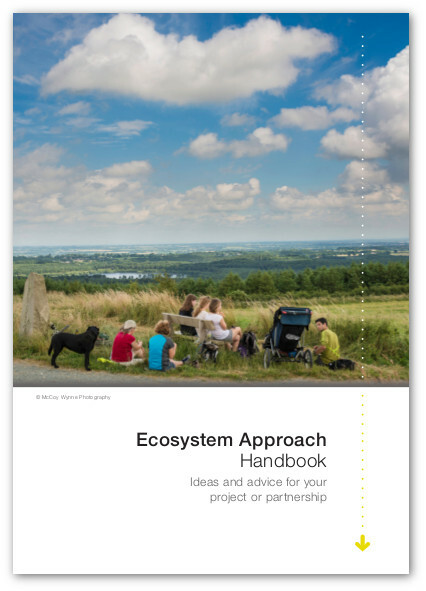 The Ecosystem Approach Handbook has been developed by Natural England and Countryscape to help landscape scale partnerships benefit from the ecosystem approach. It builds on partnership projects that Natural England has supported in Bassenthwaite and the South Pennines to help shape future management in these areas. The handbook also draws on experience of members of the Ecosystems Knowledge Network. Section 1: Define the partnership – information on reviewing the partnership membership or establishing a new partnership. This section also provides information on defining the partnership area and its links with the wider setting and surrounding places. Section 2: Understand the place – information to help partnerships identify and value what is special about their place and the benefits ecosystems provide to people. Section 3: Plan for change – advice for considering various natural and human-made processes that cause places to change. 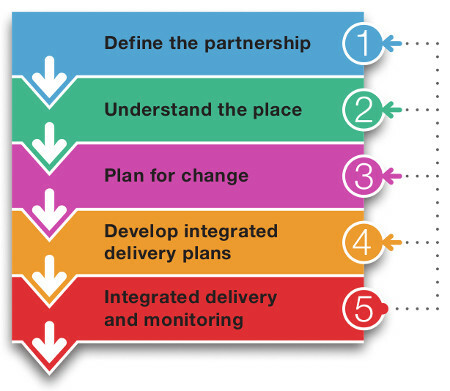 Section 4: Develop integrated delivery plans – advice for developing an integrated delivery plan, for some partnerships this could be their management plan, action plan or other strategy. Section 5: Integrated delivery and monitoring – advice on how to monitor both the outcomes of the integrated delivery plan and the processes of the partnership.